Travel to Singapore in style when you charter a private jet through Stratos Jets. Stratos Jet Charters is a worldwide air charter agency committed to providing our clients with unrivaled customer service. Our team of knowledgeable aviation consultants always has our clients' best interests in mind when organizing their private air charter flights in Singapore. We understand your time is valuable, that's why a Stratos Jets agent is available around the clock to answer questions and facilitate transactions, ensuring your fly out on the safest, most well-equipped aircraft at the most competitive rates.The Republic of Singapore is a city-state in south east Asia off the Malay Peninsula. 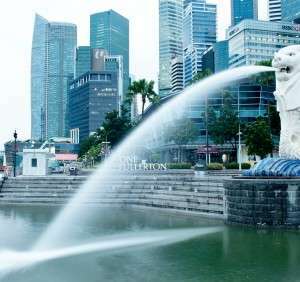 An island nation made up of 63 small islands, Singapore is a world leader in several areas, despite its small size. The diversified economy is comprised of finance, oil and trade industries. Additionally, it is the world's second busiest gambling market and the country's port is one of the busiest in the world as well. Singapore Island is the main island in Singapore and on-going land reclamation projects are currently underway to increase Singapore's land area. The landscape in Singapore is very beautiful and loaded with lush greenery, thanks to abundant rainfall and sunny skies.Begin your day at downtown Singapore's green retreat, the Singapore Botanic Gardens. Here you'll find joggers, dog-walkers, and folks practicing tai-chai on the lawns, while you stroll through the gardens and observe the exotic scenery. There's a food court near Tanglin Gate where you can order a traditional Singaporean breakfast complete with delicious coconut jam-slathered toast. Next, quell your lust for some retail therapy at Haji Lane. This hidden gem is loaded with chic boutiques and hip storefronts that are certain to satisfy any fashionista. Orchard Road is the retail hub of the city and is a major tourist attraction. 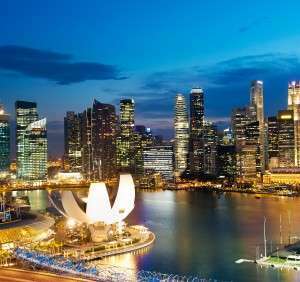 Later on, ride the Singapore Flyer, which is similar to London's London Eye.Allow Stratos Jets to arrange your ground transportation form the airport and book your hotel reservations. The Mandarin Oriental Singapore is located right in the Marina Bay district of Singapore an doffers excellent views of the city and harbor. Or stay at the Ritz for the unbeatable service and luxurious amenities, or just to check out the artwork. The Ritz Carlton Millenia Singapore offers rooms equipped with 46-inch LED TVs, walk-in closets, and high-speed Wi-Fi and many other luxuries. Hang out by the indoor pool or catch some rays at the outdoor pool after a game of tennis on the hotel's courts.Contact Stratos Jets today and we can have you on a private plane to Singapore within four hours. Request amenities like gourmet in-flight dining, enhanced multi-media and business capabilities, extra cargo space, and even ask for an onboard masseuse to travel with you for the most relaxing commute possible. Our agents are among the most knowledgeable in the industry and can assist you in determining the appropriate private aircraft, while ensuring all of your air charter needs are met. Select flexible departure times and gain access to the most convenient private airports when you charter a private jet with Stratos Jets. Fly confidently with Stratos Jets knowing that we ascertain that all of our vendors meet the Federal Aviation Administration's regulations. Through our in-house due-diligence safety program, we carefully screen all aircraft and aircraft operators to secure the most-well-maintained available private aircraft for your charter flight to Singapore. We conduct a third party safety audit on every private charter flight we arrange for our clients.Enjoy a smooth landing at one of Singapore's three airports: Changi International (WSSS), Seletar (WSSL), and Paya Lebar (WSAP).